Google's vision for the future of Android evidently includes a system by which your phone adapts to whatever it thinks you're doing based on accelerometer data. Like a newer, more advanced Clippy, in your pocket. 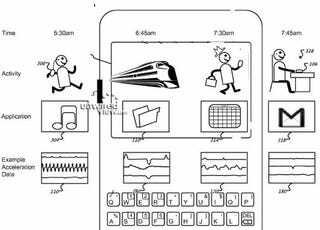 The patent outlines how an accelerometer-equipped device could monitor users' movements, and over time, build usage patterns out of the collected data. After it's created a user profile, it can then be configured to activate applications on your phone. I can't think of a single use for this. The problem is, it presupposes a perfect routine. I don't really want a phone that automatically starts playing music every time I run for three seconds, or that opens up three browser tabs the second my train starts moving, or that goes to silent mode every time I sit down, because most of the time, even if the phone could guess what I'm doing—a claim I'm leery of, even when augmented by GPS and time patterns—most of the time I wouldn't want it to do anything at all.